Your inactive paper records might be archival, meaning you have to keep them forever because of their financial, legal or historical value; on the other hand, they might be non-archival, lacking value and eventually set for disposition. Either way, these inactive records can take up a lot of space. 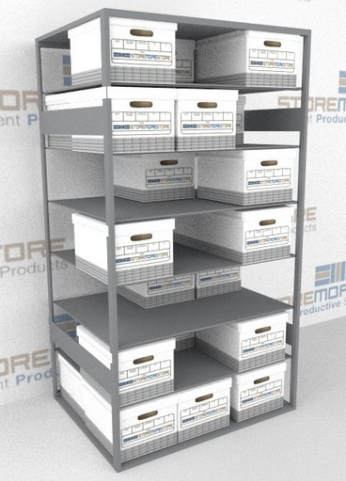 But instead of spending the money and taking the time to move your inactive paper records to an off-site facility, there’s a better solution – maximize the space you already have with box shelving. 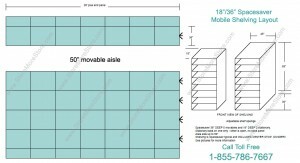 Box shelving keeps inactive paper records organized. 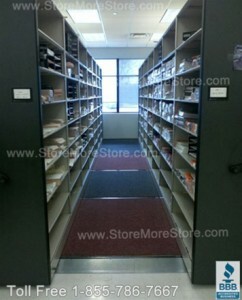 And also up off the floor and away from the tops of your lateral file cabinets. 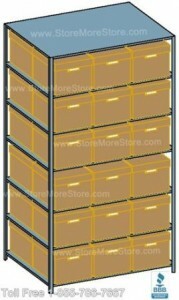 The shelving is designed so that each box fits perfectly on the shelf without any wasted space in between. Since the shelving extends up and fits along the wall, you make the most of your storage space. 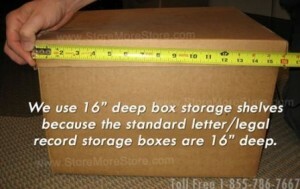 Also, boxes are neatly stored, which removes clutter and presents a professional appearance. 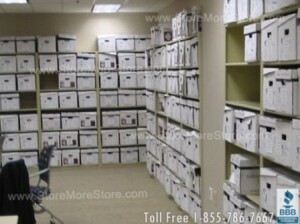 And when the situation arises that you need to locate a box of records for legal reasons, it will be easy to find. 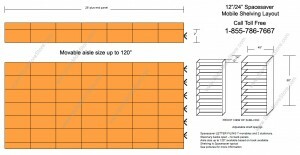 The box shelving is available in “starter” and “adder” units. 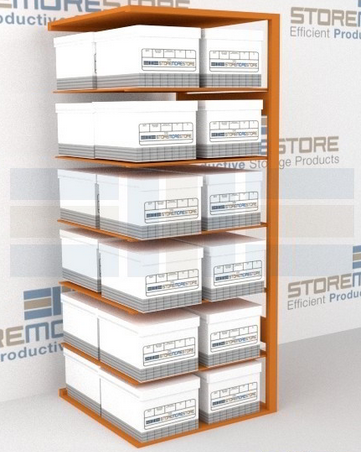 The first section of shelving needs to be a starter unit because the adder units connect to it. From there, you can add as many adder units as you want. For complete flexibility, purchasing all starter units is recommended. 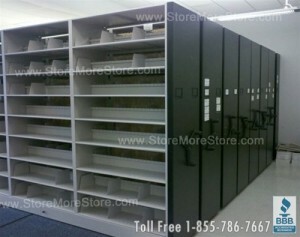 StoreMoreStore has a wide selection of box shelving for storing your inactive records online. And if you can’t find what you’re looking for or have questions about our box shelving, please don’t hesitate to give us a call at 1-855-786-7667.